History, much like species that helped to shape it, is filled with terrible, dark and twisted moments. Events so appalling that they envelope the future like a black glove, patterning, moulding and leaving their mark on it for generations to come. It’s this side of the past, the savage, unrelenting and often unexplained side of it that Rick Geary has taken to heart and attempted to document and explore in his series A Treasure of XXth Century Murder and barring the act of homicide, the latest entries in said series, Black Dahlia and The Terrible Axe-Man of New Orleans couldn’t be more different. 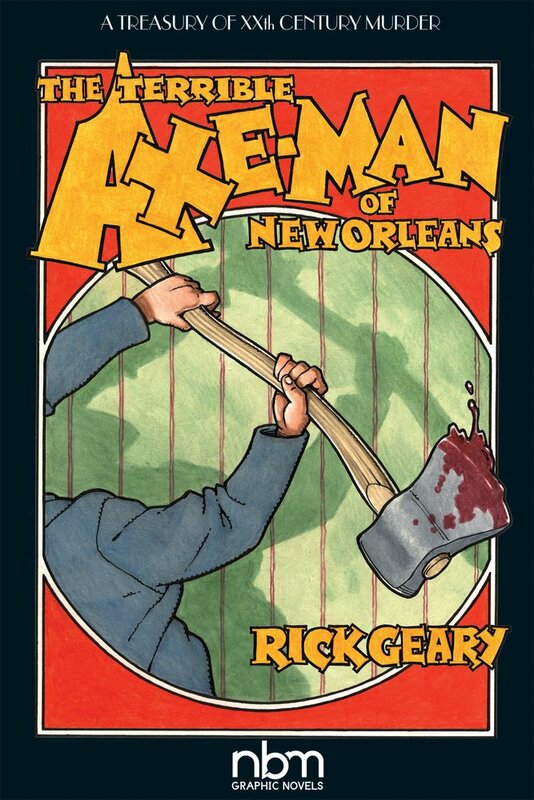 The Terrible Axe-Man of New Orleans explores a series of gruesome murders and assaults that took place during a two year period at the end of the First World War in the city that never sleeps. The victims, predominantly shop keeping members of the Italian community, were all bludgeoned with an axe in their own homes as they slept soundly at night. It’s a fascinating, if somewhat disturbing account of a series of crimes that I knew nothing about and a story that drags you straight onto the streets of the New Orleans of a different era. I was however, being a fan of James Ellroy, more than familiar with the events surrounding the Black Dahlia murder. 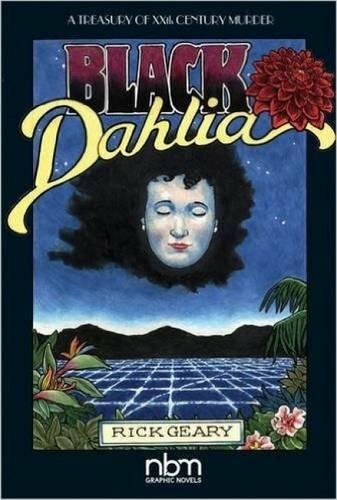 The story of the true, and incredibly savage, yet exceedingly precise murder of Elizabeth Short in Los Angeles in 1947, Black Dahlia relives the events up to and after the homicide and explores Elizabeth’s life in an effort to try and find some sort of explanation for her killing and the identity of her murderer. And like Ellroy’s novel, it’s a hideously compulsive tale that draws you in and makes you hope against all hope, despite knowing what happened, for a different outcome and conclusion to the affair.